The ‘60s were Japan’s “go-go” years – it had rebuilt itself from the utter destruction of the previous World War, and its industries were humming. As before the War, Japan’s economy was largely in the hands of several large conglomerates. These conglomerates had numerous individual business entities – so there were lots of senior executives. Company loyalty is a given in Japan, and these executives needed transportation – and for Mitsubishi exec’s, (aircraft, cars/trucks, shipbuilding, chemicals, energy, electronics, financial, real estate), riding in a Toyota or Nissan just wouldn’t do – thus was born the Debonair. 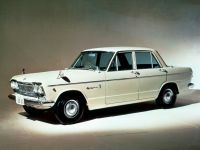 The Debonair, and later Nissan President (1965) and Toyota Century (1967), were sold mainly to fleet operators of their respective parent corporation or affiliated companies. They shuttled executives as they went about their very busy duties contributing to Japan’s economic miracle. The cars were not generally marketed to the public, but if you knew the right person, one could be ordered. They would also show up on the used car market. The Debonair debuted in 1963, and with its slab sides and chrome-stripped fender peaks, clearly drew its inspiration from the Elwood Engel-penned 1961 Lincoln Continental. 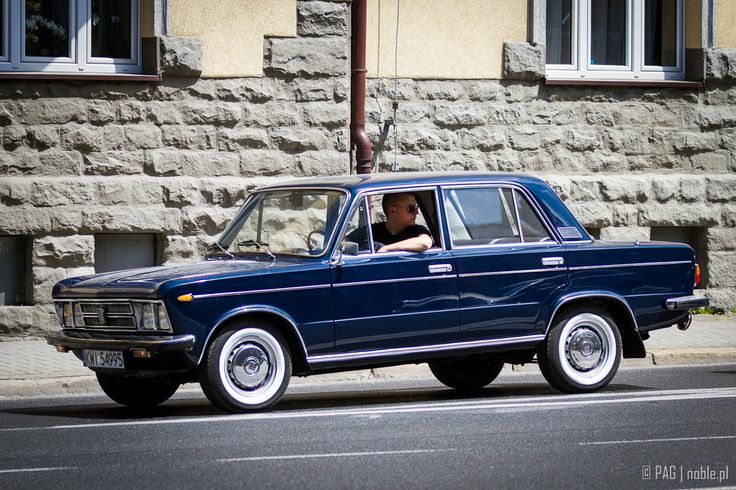 This first generation model was built an incredible 22 years – from 1964 to 1986. There were three changes during the production run. The initial model, the A30, was powered by the KE64 1991cc straight six with dual carburetors, and was sold from 1964 to 70. For 1971, a new “Saturn” series 6G34 straight six was installed, and in ‘73 the round taillights gave way to L shaped versions – this model was designated the A31. The “Silent Shaft” 2.6L 4G54 four cylinder debuted in 1976 – this was the same engine recently highlighted in Paul’s Plymouth Arrow post. The car remained basically unchanged until 1985, when only 205 rolled out in their last year. My first thought was that it reminds me of this, and that it would make sense considering Mopar and Mitsubishi’s relationship. Then I realized the Debonair came first. Did it influence the Valiant and Dart? Umm, no. Elwood Engle designed the ’61 Continental. Then he moved to Chrysler in 1963, and the ’67 Valiant/Dart were of course done under his direct supervision. Hence the Conti-look ’64 Imperial, the Conti-look ’65 Chryslers, and these in ’67. Chrysler and Mitsubishi had no relationship at the time. That started in 1971. Sort of 90% Lincoln, 10% Simca Vedette. Interesting combo. Works well except for the quad headlights. They should have been vertical, as in ’57 Lincoln. Interesting read…was not aware of these. A Continental sized like a Rambler? Have heard of the Mitsubishi Debonair but had never seen a picture of the 1st generation. And with the Japanese obsession with ongoing refinement and constant improvement I’m surprised it was produced for 22 years, but then the Nissan and Toyota also had long production runs, too, didn’t they? Mitsubishi has built fascinating cars, it’s a shame that a changing market has (seemingly?) forced them to adopt such a dismal product portfolio. That is, SUVs, CUVs, and small-sized electric/electric-hybrid/plug-in hybrid vehicles. Mitsubishi’s best selling vehicle in the U.K. is the Outlander hybrid….which oddly, they don’t sell here, do they? As Jim says, these weren’t intended for public consumption, so a lot of the usual assumptions didn’t really apply. I think the manufacturers hoped that these would be like Rolls-Royce, with minimal, mostly regulation-driven changes over long periods. I’ve heard of the Mitsubishi Debonair, but because it was never sold in North America, I’ve never seen one in person. I have seen pics of the first generation Debonair, and until now, I’ve never found it as attractive as the first gen Nissan (H150) President or the Toyota Century. It wasn’t until the second generation Debonair that I thought Mitsubishi did a good job in the styling department. Mike, very nice write up of a car I’ve always been quite fond of. I loved seeing these when I was in Japan in 1982; they were already living dinosaurs then. There’s more than a touch of the Debonair in the Fiat 125 (and 124), to my eyes. Great writeup. Never seen those 73 taillights before. The Prince Skyline 2000 GT could also be added to the list of plushy Japanese cars of the mid-60s. Not the Skyline. That was a Corona-size car lengthened in the nose to take a two litre six. For “Plushy Japanese car” Prince offered the Gloria; that’s the car the Skyline got its six from. There’s one parked just next to the Debonair in the first pic. they keep popping up for sale on trademe but I havent seen one in the metal for while. In Japan, there was a very old nickname for the 1st gen Debonair ; “Coelacanth”- because it ran out from the factory for 22 years without major change. Maybe, just maybe, we also could find out another Coelacanth too. Zaibatsu were prewar family-owned conglomerates similar to S. Korean chaebol, & New Dealers suspicious of such things during the Occupation were unsuccessful in completely eliminating them, perhaps undermined by fears about weakening Japan vs. Communism. Their descendants, keiretsu, are groups of companies centered around a bank, hence Sumitomo & Mazda, for example. Such cross-ownership, as between car companies & suppliers, makes hostile takeovers difficult, annoying Americans like T. Boone Pickens, who tried & failed to buy up a Japanese supplier. These cars are fascinating, but I’ve never learned much about them, so this write-up fills in a lot of gaps. I never knew, for instance that the reason for the Debonair’s existence was to serve as company executive cars. That explains the design conservatism and it’s frozen-in-time nature… and these two characteristics are what I’ve always been intrigued about. 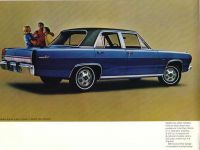 Every so often a picture of a Debonair or one of its equivalents from another company would appear in a U.S. magazines, but other than a few words telling readers that such cars existed, there was hardly any description. I would really love to see one of these cars in person. Favorite car of ” Misubishi executives and ‘bank robbers’ “. I like that! There’s something about those big, funky, boxy ’60s Japanese luxury cars I find attractive. They were probably pretty nice, durable rides too, if the rust-bug didn’t get them too soon. I think the Toyota Crown was about the only such vehicle ever sold in the US at the time. Those had a neat, hemi-OHC straight-six that eventually made it into the early Cressida and Supra. Sort of like how the Ambassador existed so that AMC execs had something substantial to ride around in. That Nissan President looks an awful lot like a 63 Rambler, especially in the greenhouse. Nice Debonaire some second gen have turned up in NZ, but did you get any photos of the Prince Gloria parked next to the Deb in the first pic?Those were the cars that Nissan merged with and learned about OHC engines from. The gen 2 Debonair could be bought with an Aquascutum option pack, something like a Bill Blass Lincoln. It’s a pity that it sounded like a particularly nasty anti-fungal medicine. 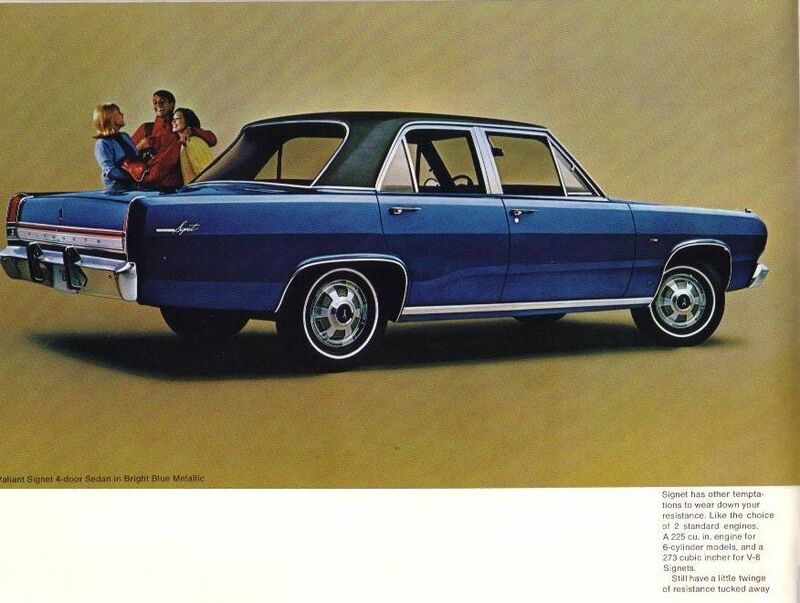 The hockey stick taillights on the 73 model remind me of a certain American Pontiac from the sixties. Also, the slab sided styling was certainly ahead of its time. I kinda like this car. There were scads of 2-liter sixes in Japan in the ’70s and ’80s. None of them were very powerful until the arrival of turbocharging around 1980, but probably very smooth. The Japanese “executive” segment of the market is a lesser-known part of Japanese motoring history. Two of the more unusual models offered were by Isuzu and Mazda, who didn’t have a an existing car, and didn’t want to spend money building cars for such a niche market. Their solution – use an Australian model as a base. Isuzu used the HQ Holden Statesman and called the rebadged car the “Isuzu Statesman De Ville”. Mazda went even further – a HJ or HX Holden Premier with the 6-cylinder Holden engine replaced by a 13B rotary, and called the “Roadpacer”. Sales of both of these vehicles were only in the couple of hundred each.